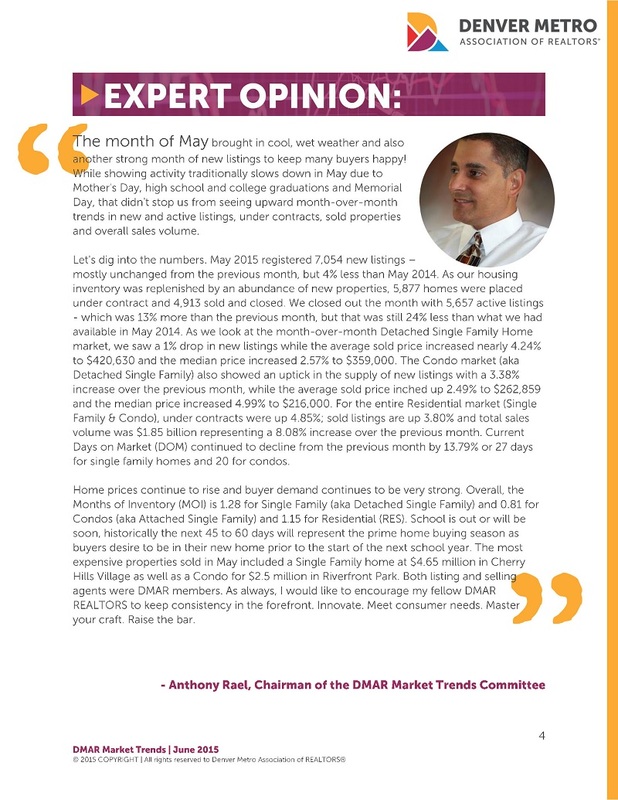 "The month of May brought in cool, wet weather and also another strong month of new listings to keep many buyers happy! 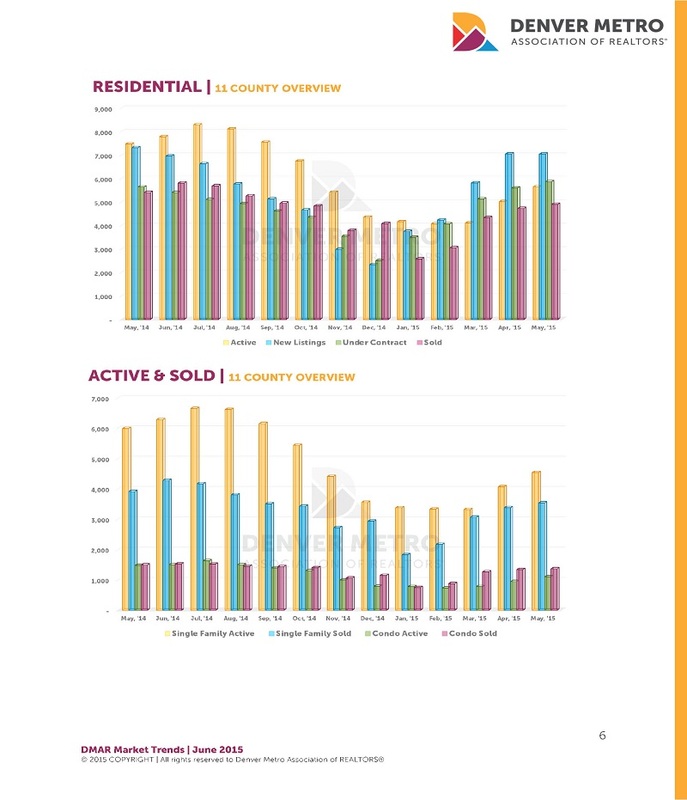 While showing activity traditionally slows down in May due to Mother's Day, high school and college graduations and Memorial Day, that didn't stop us from seeing upward month-over-month trends in new and active listings, under contracts, sold properties and overall sales volume. Let's dig into the numbers. 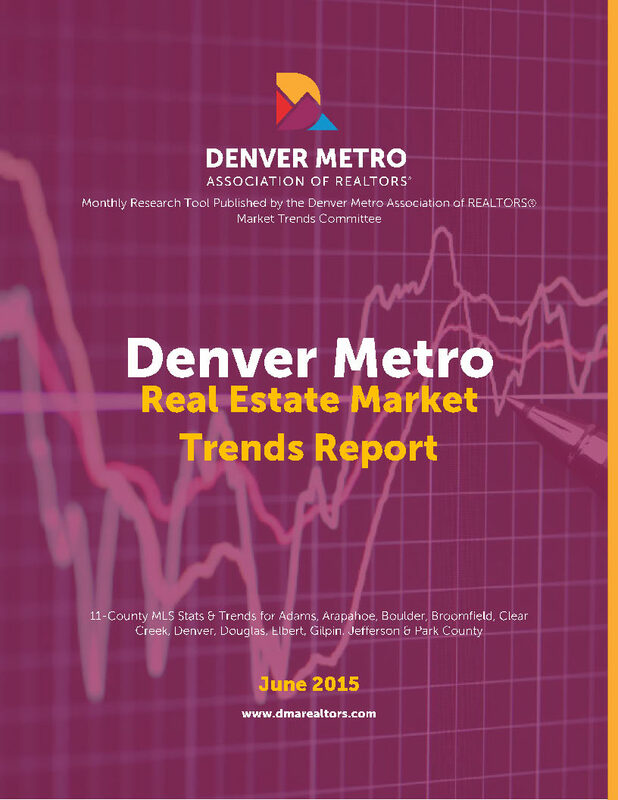 May 2015 registered 7,054 new listings – mostly unchanged from the previous month, but 4% less than May 2014. As our housing inventory was replenished by an abundance of new properties, 5,877 homes were placed under contract and 4,913 sold and closed. 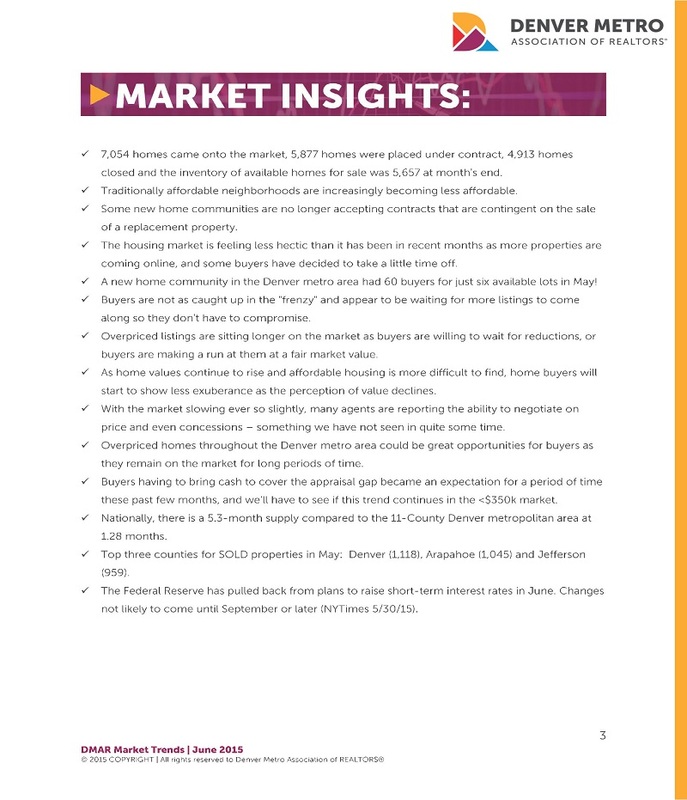 We closed out the month with 5,657 active listings - which was 13% more than the previous month, but that was still 24% less than what we had available in May 2014. 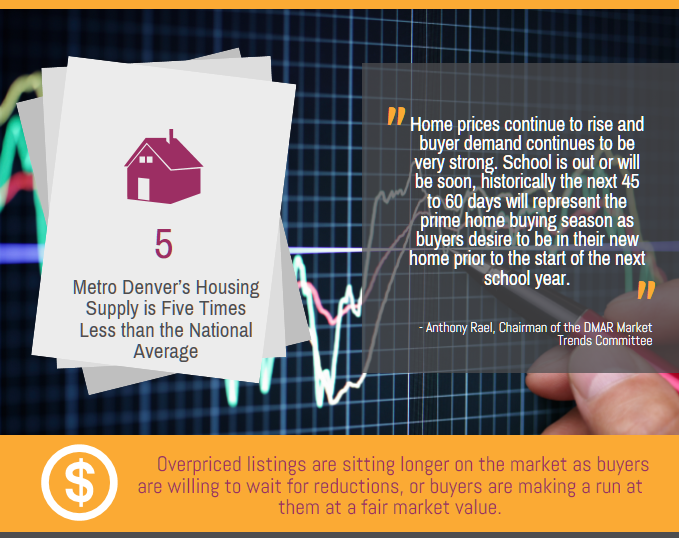 As we look at the month-over-month Detached Single Family Home market, we saw a 1% drop in new listings while the average sold price increased nearly 4.24% to $420,630 and the median price increased 2.57% to $359,000. 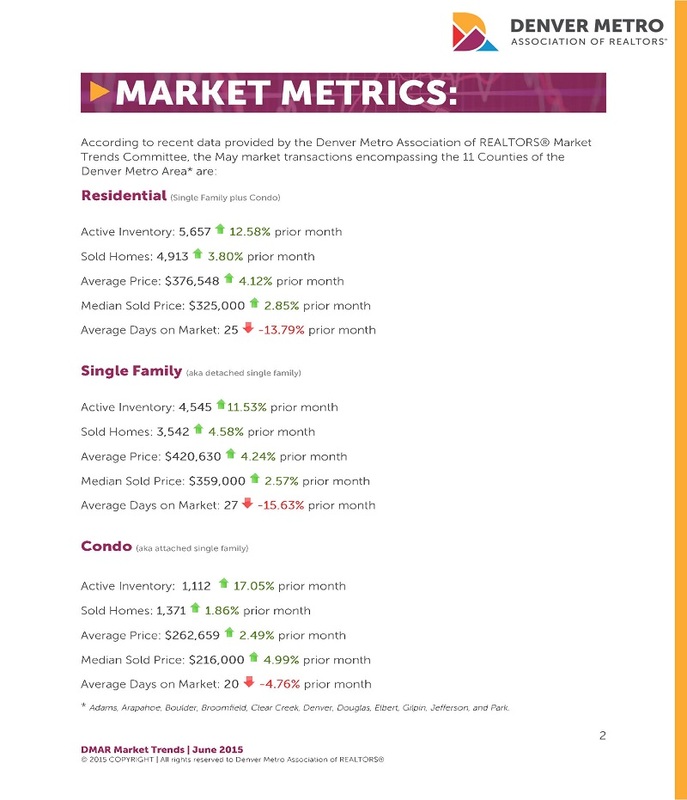 The Condo market (aka Detached Single Family) also showed an uptick in the supply of new listings with a 3.38% increase over the previous month, while the average sold price inched up 2.49% to $262,859 and the median price increased 4.99% to $216,000. For the entire Residential market (Single Family & Condo), under contracts were up 4.85%; sold listings are up 3.80% and total sales volume was $1.85 billion representing a 8.08% increase over the previous month. 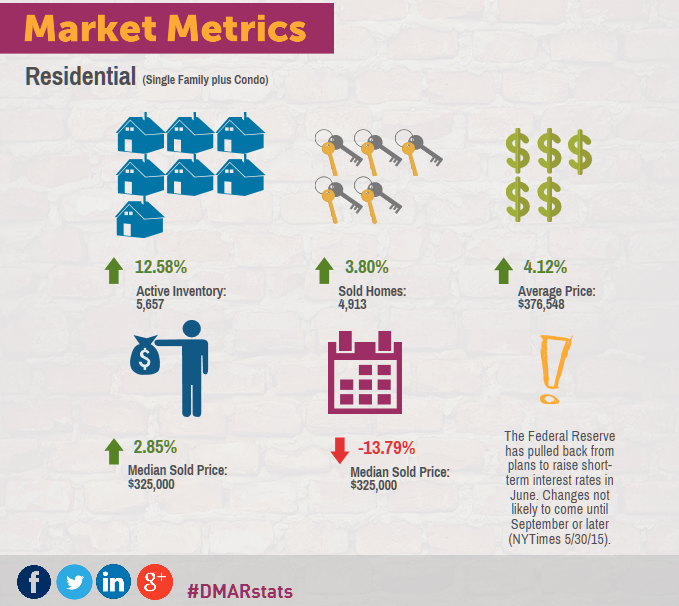 Current Days on Market (DOM) continued to decline from the previous month by 13.79% or 27 days for single family homes and 20 for condos.